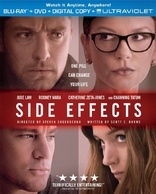 For a while now I've wondered if we're reentering the age of fantastic Hollywood thrillers, and Side Effects certainly has all of the ingredients necessary -- a fantastic cast, a fantastic director and a murder mystery -- but it just doesn't gel in the ways one would think. Rooney Mara stars as the depressed wife of a once-successful finance man (Channing Tatum) who goes on an experimental new drug when he's released from prison. It puts her in a pill-induced funk, someone dies, and the question becomes is she a murderer or a victim of bad medicine. It's a fine setup for a film, but the trouble is that no one in the movie is particularly interesting or sympathetic, which makes the outcomes of their lives equally uninteresting. None of the romantically invovled characters have chemistry, and considering the biggest stakes are how this tragedy affects innocent parties, the thriller aspect of it just isn't very effective. It's an okay movie, and one can respect its ambitions, but it's just not nearly as engaging as one would hope. Special Features: A pretty sparse offering of a three-minute behind-the-scenes video and a trio of fake ads for Ablixa. My Neighbor Totoro is a beautiful, heart-warming film. No surprise there, of course, considering it's from Studio Ghibli and director Hayao Miyazaki, the minds behind Spirited Away, Whisper of the Heart, The Cat Returns and Princess Mononoke. Even in that stable of fantastic films (and more), Totoro stands out as one of the finest films Miyazaki has ever made. It's a wonderful tale of two little girls whose innocence let's them see the spirit of the forest and his magical, invisible friends, which help them cope with the hospitalization of their mother and a move to an old house in the countryside. If you've never seen it, I highly, highly recommend it. The American voice cast is great, the animation style is timeless, and the story hits you. Special Features: Feature-length storyboards; five new HD retrospective featurettes that are only a few minutes in length each (a total of 18 minutes) but do a good job of looking back at the creation of the story and the design of the world; two previously released SD featurettes, a 29-minute one on the real Japanese locations that inspired the look of the film; and a six-minute video of the English actors dubbing their voices. It's a strange week of new releases in that all mostly have something in common: They're slickly made, well-cast studio movies each with a specific genre hook that just didn't particularly connect with mainstream audiences in any big ways. Beautiful Creatures is a Warner Bros. supernatural teenage romance movie about a teen boy and girl who are apparently destined to be together despite coming from different families, each with their own secrets. If you're a fan of those types of films, Richard LaGravenese's adaptation of Kami Garcia's novel will deliver. It's not nearly as silly or cheesy as, say, Twilight, but if you don't like the cliches of teen romance movies, this probably isn't for you. Parker is Taylor Hackford's (Ray, The Devil's Advocate) adaptation of Donald E. Westlake's beloved crime thriller series Parker. It stars Jason Statham and Jennifer Lopez and by most accounts is a perfectly acceptable, fun crime caper. The same can't really be said of Stand Up Guys, the Al Pacino, Christopher Walken and Alan Arkin crime comedy that landed with a bit of lifeless thud despite its lively cast. Then there's Return to Nim's Island, the straight-to-DVD sequel to 2008's family adventure film about a little girl who explores a remote island. This new one doesn't have any of the original cast returning, but it does have Bindi Irwin (Steve "the Crocodile Hunter" Irwin's daughter) and Matthew Lillard. Perhaps the best of this oddly received bunch is The Last Stand, which has the double draw of being Arnold Schwarzenegger's return as an action star and the first English-language film from The Good, The Bad, and the Weird director Jee-woon Kim. Unfortunately it doesn't fully feature the spark that made either personality so great to see on film (Arnold's stoic, indestructible hero or Kim's whimsical, elaborate action scenes), but it's still an above average action movie with an '80s-worthy premise about a small town sheriff who is tasked by the FBI with taking down a fugitive that'll be passing through his town. We actually have a deleted scene from the Blu-ray we can share with you, which sets up the film's bad guy even more. Howl's Moving Castle is another delightful piece of animation from Studio Ghibli hitting Blu-ray for the very first time. 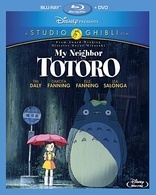 I'm not quite as in love with it as I am My Neighbor Totoro above, but that's hardly a slight on the film and just an affirmation of how much I like Totoro. It looks gorgeous in HD, has a pretty nice English voice cast (particularly Billy Crystal as a cantankerous fire demon), and a touching story. From heart warming we go to heart stomping with a pair of well-curated box sets from Warner Bros. They're the Ultimate Gangsters Collections, and they come in two varieties: the Contemporary and the Classics. The former contains Mean Streets, The Untouchables, Goodfellas, Heat and The Departed. Often when a studio puts out a set like this, it's just whatever movies it has access to, but in this case each truly is a touchstone of the genre. For my money, Heat is the best of the bunch, but damn if the company it's with aren't all up to snuff. If the weakest movie in your box set is directed by Brian De Palma, you're doing alright. Then there's the Classics collection, which includes Little Caesar, The Public Enemy, The Petrified Forest and White Heat. All five are early predecessors for the modern gangster story, and while they may not thrill modern audiences in the same way as the Contemporary set, they each have brilliant character studies of men living on the wrong side of the law. Each box set comes with a little hardback book filled with glossy images and nice, accessible commentary giving the movies their proper historical context. If you need some historical context for Medium Cool, just check out our piece where director Haskell Wexler reminisces about the making of the movie and the controversial elements that eventually turned it into a cult hit. And lastly we have The ABCs of Death, which I covered a few weeks ago that is actually hitting store shelves today.